Tue - Fri 8:30 a.m. 6:00 p.m. Premium sound, cold-weather comfort features and Hondas patented, Flash-card-based Satellite-Linked Navigation™ System ... is there any place the Gold Wing Premium Audio, Comfort Package & Navi model cant take you, surrounded by luxury and performance? The answer to that, and to whether theres a better motorcycle in the touring class, would be "no." A resounding "no." Premium Audio: The Gold Wing has always set the standard for onboard motorcycle audio systems ever since it revolutionized the touring category with its first integrated stereo in 1982. This year, however, is truly special thanks to our all-new Premium Audio package, which adds rear speakers as well as a pair of front tweeters, a new tuner, and an external 80-watt/channel power amplifier to our already state-of-the-art system. You'll be rewarded with clear sound at all speeds and yes, there's still the auxiliary port in the fairing, as well as the option of adding a trunk-mounted six-disc CD changer. Comfort Package: Riding is fun, but we know it's nobody's idea of fun to be cold, so we're introducing a Rider Comfort package to even further enhance what's already the best, most sophisticated touring-bike bodywork in the world. 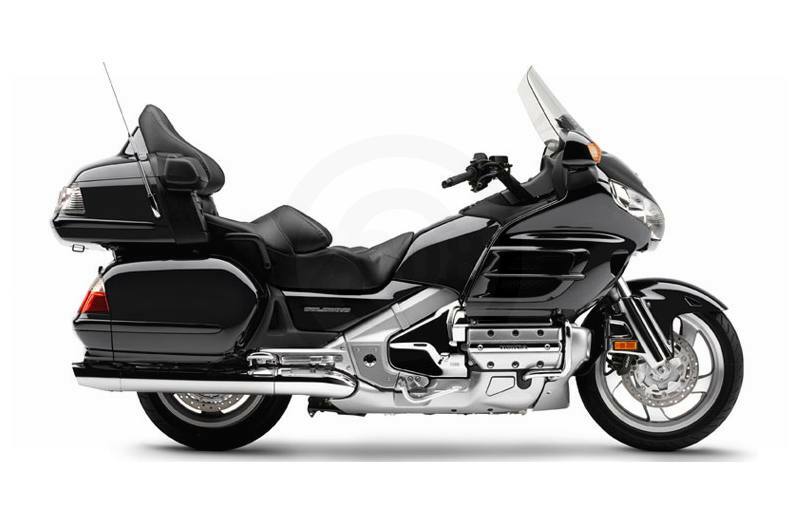 With our new Cold Weather Comfort Package feature, you can add heated grips and even a heated seat and passenger backrest specially designed for rider and passenger comfort, all wired to run off your Gold Wing's electrical system (featuring a new-for-2006 standard-equipment 1,300-watt alternator). In addition, there's adjustable warm-air ducting from the engine to heat your feet. Navigation: A Gold Wing is all about exploring new places, and our new Navigation option makes that easier than ever. 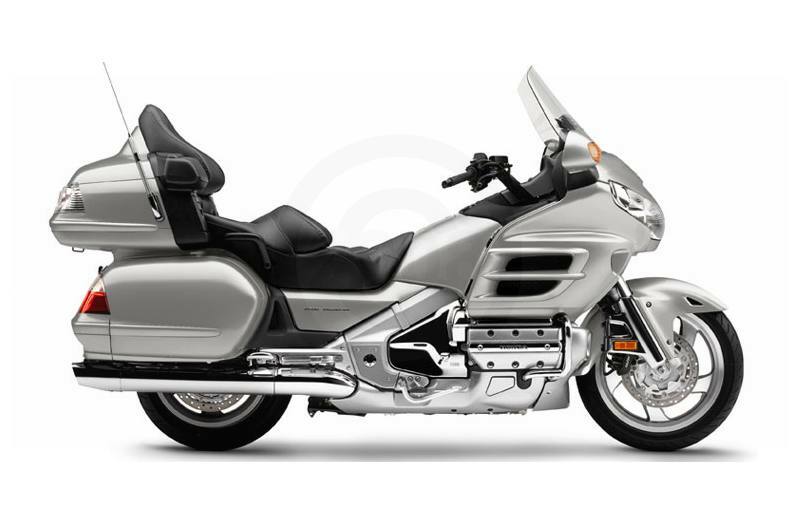 This new proprietary Honda Satellite-Linked Navigation System™ uses proven GPS technology in a fully integrated system that lets you view maps on a color LCD screen, and even follow step-by-step verbal directions via your Gold Wing's sound system. A 2GB Compact Flash (CF) card stores all the information you'll need to travel just about anywhere in the U.S. and Canada. Feature-rich and packed with options, it's simply the best GPS-based navigation system on a motorcycle today. 3 years: Transferable, unlimited-mileage limited warranty; extended coverage available with a Honda Protection Plan. Higher prices may apply for certain color schemes and premium paints.